For each animal adopted abroad there are hundreds who remain in Sao Vicente struggling every day for food and water. Help us to help them to survive and to stop reproducing, creating even more suffering! The dogs and cats rescued by SI MA BO receive around the clock care. It is important to continue this care for the animals not lucky enough to be adopted yet. 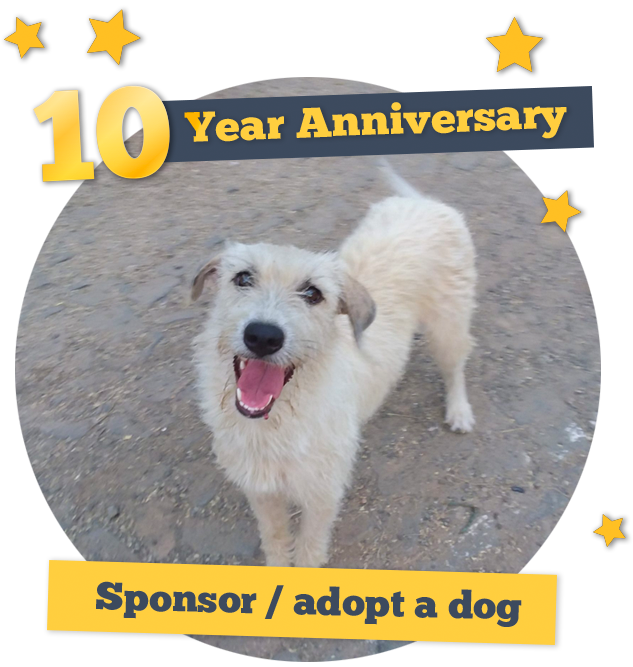 Because of this the adoption process can only be completed after receiving a donation of €200 for the work done during the 4 months (normally longer) to prepare your dog or cat for adoption (including documents for embarking to be done 24 hours before departure). In case the dog you would like to adopt is not from our shelter but she/he is rescued by you and you would like to leave him/her with us for the time necessary to prepare him for travelling, you will be charged 100 euros/month for food, medical assistance, spaying/neutering and any other need. Adopt an animal and you will be fulfilling one of their biggest needs: love and companionship!! Please write to Silvia at info@simabo.org for further information and instructions pertaining to travelling abroad and adoption fees. If you are unable to adopt at this time, you can sponsor one of our cats or dogs by covering their expenses on a monthly basis. He or she will be forever grateful, thank you!! Follow the link below and search through our list of dogs and cats for adoption to find the perfect dog or cat for you and your home.